Planning is the key to success in the pursuit of any goal or objective. Having a well-documented action plan is critical to achieving your objective or goal. 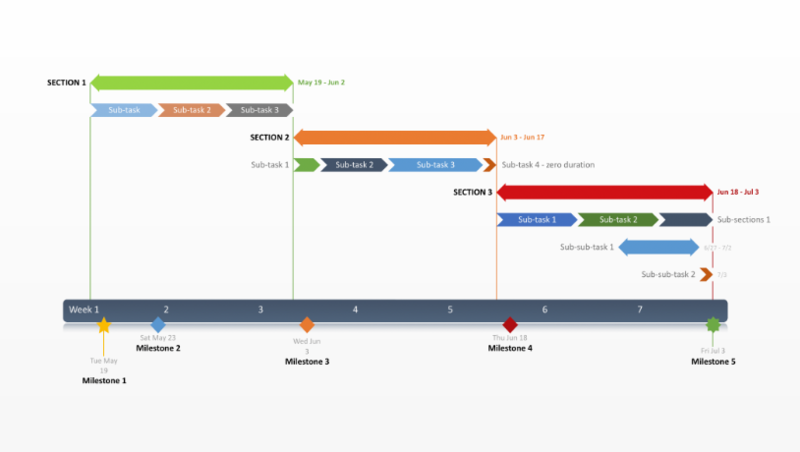 This action plan template clearly illustrates what activities are required and by what date they need to be done in order to accomplish your goal. For an action plan of any size, it is critical to break down the complete work load into smaller activities and to arrange these activities in the proper sequence. It is also important to assign start dates and finish dates to each activity and to put the entire plan on a time schedule. This creates the action plan, a sequence of activities that all need to be accomplished within a certain period of time in order to complete the project or achieve the objective. The action plan template was designed as a PowerPoint chart because visual communications are easier to read and easier understand than lists or spreadsheets. 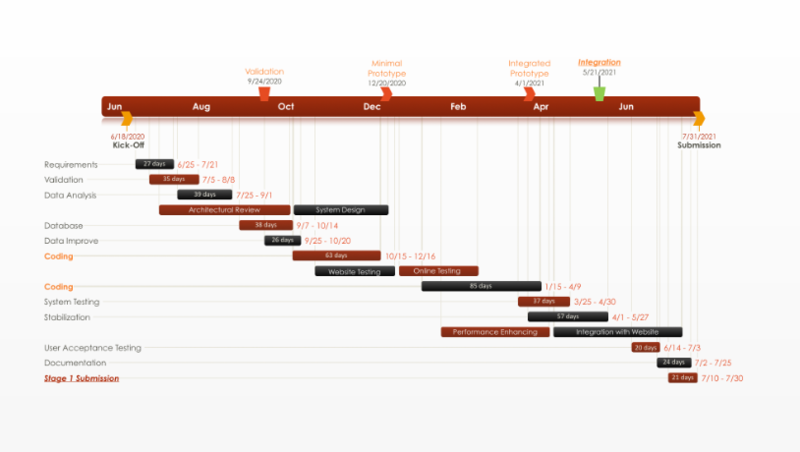 It will help you see all the activities of your project and their due dates in a single view. 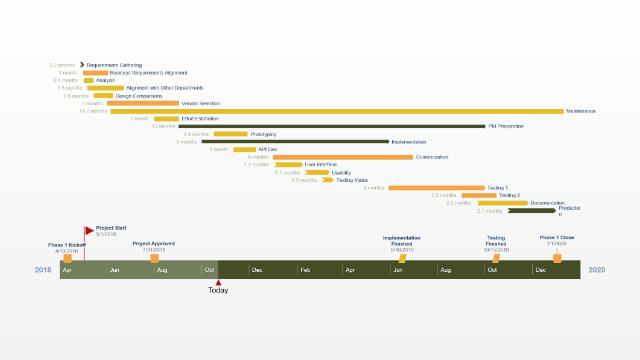 The end result will be an impressive graphical plan that can be shared with others or included in important communications such as proposals, newsletters, project charters, or in strategy documents. 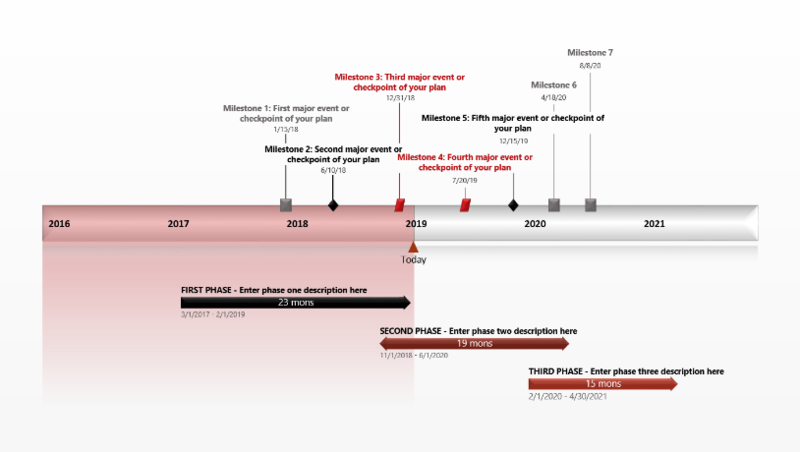 The action plan template was also designed to display how much time has elapsed since the start of your plan, so you can see actual progress versus the original action plan. 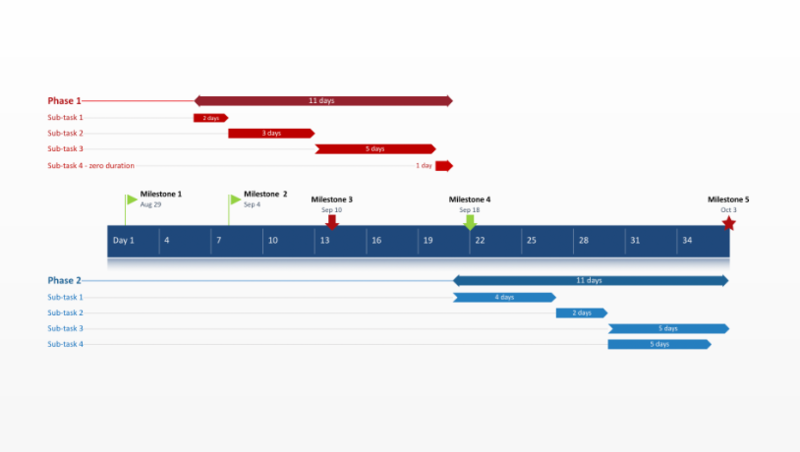 Use this feature of the template to communicate your action plan’s progress in business reviews and project status meetings or you can include the visual on a scorecard. The template can be revised in PowerPoint and updated by replacing the existing data with your action plan’s activities and dates. This can also be done instantly, in a few clicks, by using the project planner add-in for PowerPoint from Office Timeline.